On average drought conditions improved slightly over the last week throughout New England. In Massachusetts the drought classifications stayed the same – with more than 40% of the state experiencing a severe drought. There is some hope before the ground freezes. (When the ground is frozen the water isn’t able to be absorbed.) Our weather pattern is very active and should stay that way through next week. Round 1: Friday into Saturday starts with showers and could end with a soaking rain. Showers will be isolated to scattered on Friday. On Saturday we will see a push of rain move in from the ocean. We’re expecting 0.25” to 1” for southeastern Massachusetts. Round 2: Tuesday night into Wednesday morning expect a round of steady rain. 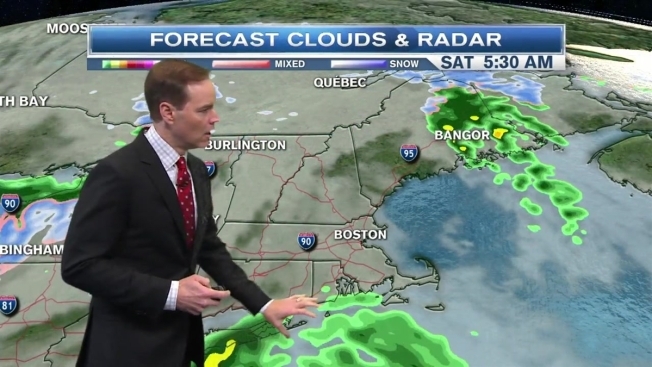 A widespread 0.5” to 1” is likely for New England. Round 3: Wednesday night through Thursday we’ll see steady rain with some locally heavy downpours. This will be the heaviest batch of rain out of our 3 rounds. When you add it all up – the 7-day total could be 2-4”!